Something very special happened last week on September 10th! The Sun sent the Earth a big dose of Love in the shape of a Heart! (This "heart Love" is a rare and special occurrence!) You can watch the powerful X-class Solar explosion erupt from the Sun toward the Earth in the clear shape of a Heart in this short video: http://www.space.com/27107-powerful-solar-x-flare-pointed-at-earth-video.html Friday, the 12th, through the weekend, this powerful energy hit the Earth, visible as gorgeous geomagnetic storms (auroras). The skies were spectacular over the Earth last weekend thanks to this special "Love gift" from the Sun. And we were affected. 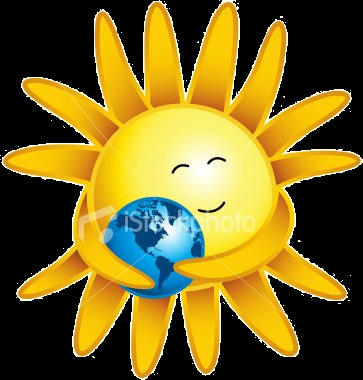 So the Sun sent the Earth some Love, how does this affect us? We feel and are altered by the energy from these powerful Light filled, electromagnetic bursts deep within our cells and it can throw us off our regular rhythm. The burst of high frequencies are felt throughout our nervous systems affecting our own electromagnetic fields. We can experience all sorts of "symptoms" as these high frequencies flow through us. As our central nervous systems are affected, we can feel jittery, experience memory and focusing issues, lethargic, anxious, irritable, shaky, queasy stomach, headaches and many other symptoms. The more sensitive you are to energy frequencies, the more you will feel these Cosmic bursts of high intensity, high frequency Light energy. If you are attatched to holding low frequency energy you will find you are very uncomfortable both emotionally and physically right now. You are feeling the effects of the variance between the energy you are vibrating and the incoming very high frequency energy. You need to bring our own frequency up to match the incoming Light energy for the most ease and comfort. Seek ways to resonate with the Source vibrations of Love, Joy, Appreciation and feel the smile in your heart and Light radiating from your heart. The intensive Light (Photonic) energy is very high frequency it will aid you in evolving so you will be 'nudged' to release lower frequencies. When you do so, by consciously focusing on better feeling thoughts and things, you'll find that your vibration will raise pretty quickly. If you are committed to staying with the heavier emotions, as many are (low frequencies), you are going to have a rough time. Allow the Sun's "Heart of Love" to uplift and support you on your evolutionary journey. This potent Light energy connects to our thought energy so we will notice our thoughts manifesting (taking form energetically and then physically) much more quickly now. Therefore it's important to be very aware of your thought patterns. Grumpy, negative thoughts will return manifestations that are not pleasing. All the conflicts we are seeing in the world are due to people being locked into patterns of thought and behavior that are full of blame, anger, fear, all low vibrational frequencies. Now is the time to deliberately choose to improve your thought focus and feelings step into being at cause in your life. A very quick and effective way to do this is using the Instant Joy Process daily. Draw support from nature! The trees, flowers, grasses all do not resist the incoming high frequencies, but match them with graceful ease. Spend some time 'tree gazing' , sitting beside some flowers or moving water and you will automatically be uplifted by their quiet presence. Bring some flowers into your space, they are loving uplifters! Crystals and stones are of particular help, some will ground you and others will balance you. Find the ones that speak to your heart, your heart knows which are best for you right now. It is important to drink lots of water right now to support you in processing the incoming energy more comfortably. Remember, the high frequency energies want your frequency to raise to match them, and they will support your evolution if you don't get yourself in your own way. To relieve any 'high frequency energy symptoms' and to be prepared to receive additional high frequency energy that will be arriving with more comfort and ease, I recommend being in the VERY Special Equinox-New Moon Multidimensional Money Reiki session on September 24th. This special session is combining energies of the Equinox and New Moon will align you with all of the incoming high frequencies, bringing your vibrational frequency up to or above them. This will allow you to move this through the continual high energy "Love shots" ♥ from the Sun and Cosmos with the most ease and comfort. If you were lucky enough to spot some auroras in the sky above this past weekend and took some photos, please feel free to share them in the comments below so everyone reading this post can enjoy Nature's splendor and your great shots! The month of September is going to continue to be active with lots of "Love Shots" from our Sun to the Earth. You'll feel the altering energy, so it's important you put the suggestions in this post into practice in your life so that you be with the increasing energy and Light with the most ease and comfort. This is definitely an energy trend!